4510-4532 Cleanout Tee w/ Countersunk Plug & Round Cover - Jay R. Smith MFG Co.
Used in concealed drainage lines where a cleanout is desired. Removable face-of-wall cover allows easy access to closure plug. 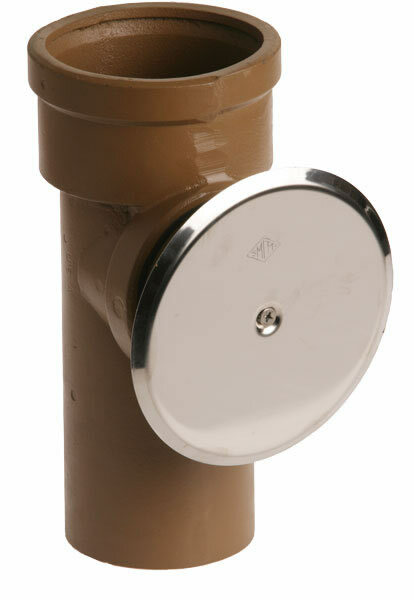 Duco Cast Iron Cleanout Tee and Countersunk Plug with Stainless Steel Round Cover and Screw as Indicated by Figure Number Selected.